Welcome to Blue Heron Review! Blue Heron Review is an online poetry magazine specializing in mystical and spiritual verse. Blue Heron provides a space for poets who offer a positive message about living fully and engaging with the world through beauty, a sense of community and acceptance. Blue Heron strives to promote and feature works that nourish the soul, encourage deep reflection and support a peaceful life path. Blue Heron poets embrace the concepts of: joy, abundance, grace, love, light, connection, awareness, acceptance, balance, peace, one’s soul path, and spirit in their works. Think, Rumi ~ think, Hafiz! We are getting ready to announce our reading period for the 2nd issue of Blue Heron Review, which will have an online publication date of summer 2014. 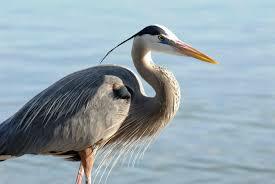 The FIRST Blue Heron is due to be released as an online issue ~ winter / 2014. Please watch this space for further information, regarding guidelines and submission deadlines. For a general overview, please click on the tab for Submission Guidelines on this site. We look forward to reading your thoughts on life, through the lens of poetry.